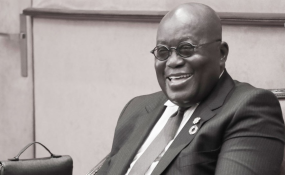 In 2016 the Ghanaian people overwhelmingly voted the New Patriotic Party led by Nana Akufo-Addo in an election many analysts believed was going to be tightly contested. The NPP's landslide victory heralded a new sense of hope that governance anchored on integrity was about to be restored, that economic prosperity was on its way with well-paying jobs as by-product of the expected economic boom, that corruption would be fought and the most vulnerable of our society catered for. That no child would be left behind because the circumstances of his birth would not permit his parents to afford the cost of his education. It was expected that the son of Mba Alhassan in Gbungbaliga in the Yendi Municipality would have same opportunity to secondary education like the son of Dr. Kwame Despite in Accra. The NPP in its 2016 manifesto promised to abolish nuisance taxes to encourage production. The Government's maiden budget in March 2017 abolished and reduced as many as 17 such nuisance taxes! More importantly, the Ghana Education Service under the Ministry of Education has created almost 30,000 teaching and non-teaching jobs. The Ministry's partnership with Buffer Stock Co Ltd has led to 1000s of supply contracts under the Free SHS policy which has created substantial number of jobs! The new FPSO, according to Deputy Energy Minister, Dr. Mohammed Amin Anta created 12,000 new jobs in the upstream sector. There has been a great number of new jobs in the downstream sector with agencies like NPA, BOST, GO ENERGY etc leading the way! Our nation's most ambitious job creation intervention has been the Nation Builders Corps. This intervention has provided 100,000 jobs to graduates. Nkrumah had the Workers Brigade, Mahama had the Looters Brigade and Nana Addo has NABCO! The most important social intervention programme in our nation's history has been the FREE SHS POLICY. It is the uncompromising view of the President that cost should never a barrier in the pursuit of knowledge. Prior to the elections, he forcefully canvassed the view that the nation's resources ought to be directed to the funding of education to allow Ghanaian children, regardless where and how they were/are born, to have access to FREE QUALITY SENIOR HIGH SCHOOL education. Vice President Dr. Bawumia rightly stated during a National Policy Summit in Tamale, "What is incontrovertible is that without Nana Addo Dankwa Akufo Addo, there will be no restoration of teacher training allowances, no restoration of nursing training allowances, no Zongo Development Fund, no Planting For Food and Jobs, no National ID Cards, no Digital Address System, no paperless ports, no Development Authorities, no strong macroeconomic fundamentals, no Rehabilitation of VALCO, no US$2 billion innovative infrastructure financing arrangement with Sinohydro, no steps to establish integrated bauxite and aluminium industry, no mobile money interoperability, no reduction in electricity prices, no Change in the driver's license applications, no Special Prosecutor on Corruption, no revival of Ghana's railways, no transparent allocation of Ghana's oil blocks." From the foregoing, it is reasonable to conclude that the NPP needs to be supported to continue its transformation agenda. It has to be maintained for the good of Ghana. To paraphrase Sister Afia's song, if you see the economy j3 j3, if you look at the job numbers j3j3, if you see everything j3 j3, j3 j3 oooo j3 j3! !